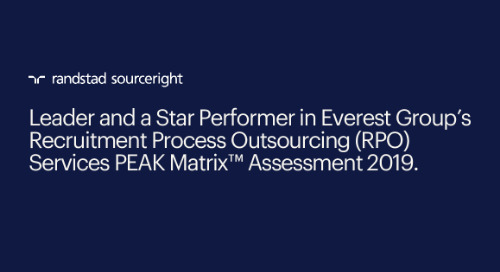 RPO case study: improving talent quality with video interviewing. 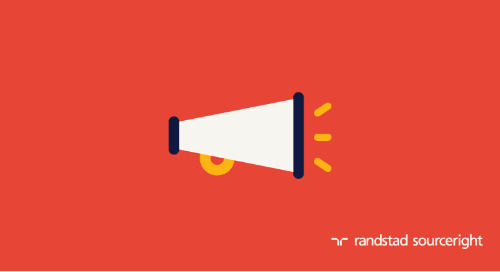 Home » Randstad Sourceright Insights » RPO case study: improving quality of candidates with video interviewing. 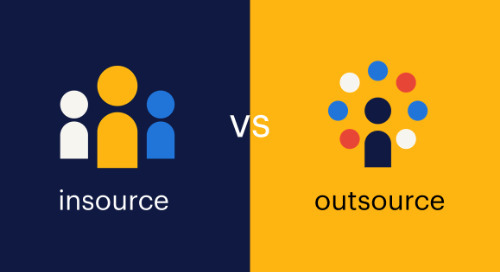 At a time of increased competition for qualified candidates, businesses need every advantage they can get to stand out from the crowd and hire the best talent faster. As a large financial services company recently discovered, the use of video interviewing can help solve both unique challenges. 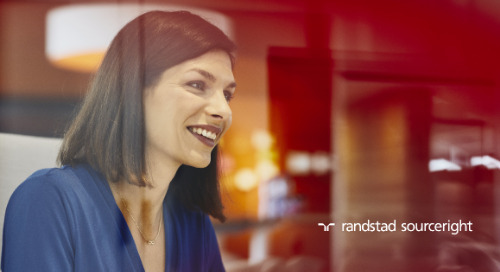 By adding video interviewing to its recruitment process outsourcing (RPO) model, this financial services employer is creating a more engaging candidate experience. 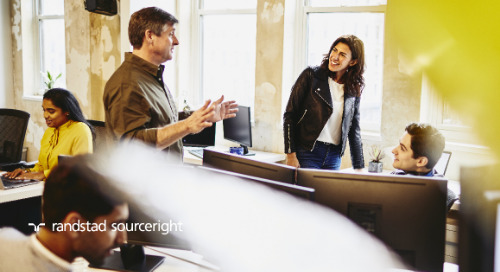 The new talent model supports a digital-minded employer brand and helps the company identify and hire talent more quickly. 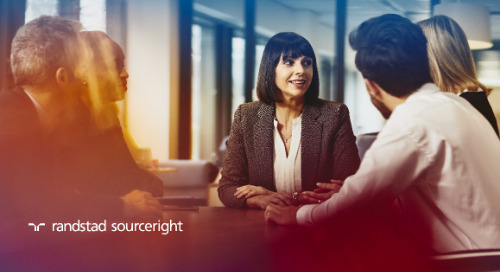 Since working with Randstad Sourceright to implement Montage video interviewing, the company benefits from an overall improved recruitment strategy. A more efficient process means recruiters can focus their efforts on hiring the candidates who can drive their business strategy forward. 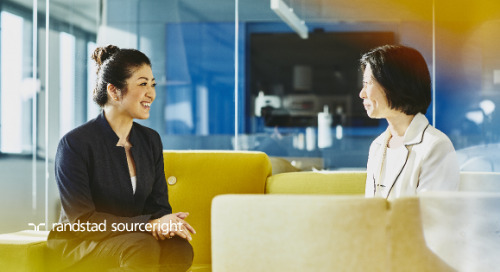 From attracting talent with a tech-enabled recruitment experience to getting the right candidates in the door sooner, both talent and hiring managers are empowered throughout the process. Replacing phone interviews with video interviewing creates a more streamlined talent acquisition process. 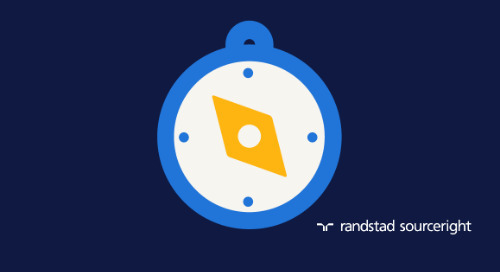 Simplified, tech-driven scheduling for in-person interviews connects qualified pre-screened talent with hiring managers sooner. About 10 to 15% of candidates are screened out early in the process. The switch to video interviewing also results in higher quality candidates. With more individuals screened out during the video interview process, candidates that advance to the next stage are more likely to have the skills and qualifications needed for the company’s customer service roles. Relying on video interviews hasn’t eliminated the need for recruiters, but instead makes their jobs more crucial. While video interviewing helps to move candidates forward, recruiters can spend more time engaging talent and hiring managers, and ensuring the right individuals are hired. In a competitive hiring landscape, the financial services leader recognized a need for more innovative recruitment strategies to attract and hire tech-savvy customer service talent. 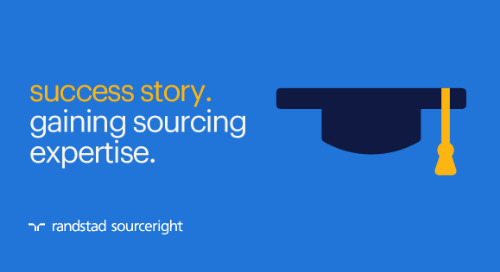 The company long relied on manual interview scheduling processes and phone interviews to pre-screen candidates. Moving forward, it planned to implement processes that better represent the company’s brand and engage the right talent ahead of the competition. 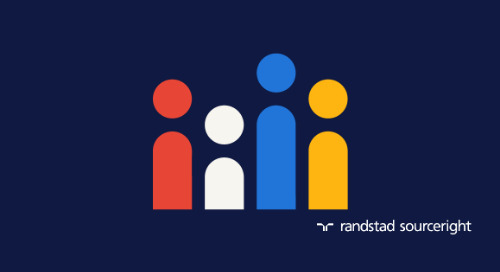 Introducing new efficiencies, Randstad Sourceright and the company’s talent leaders worked together to ensure recruiters would have more time to spend building personal connections with candidates. 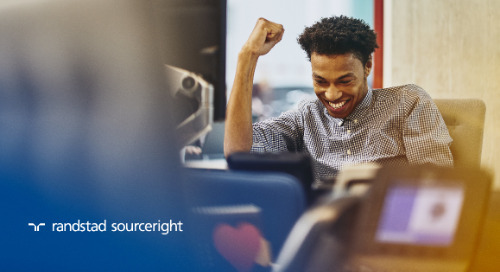 Another goal was to create an enhanced talent experience, giving candidates more control over the process and connecting hiring managers with the right talent. 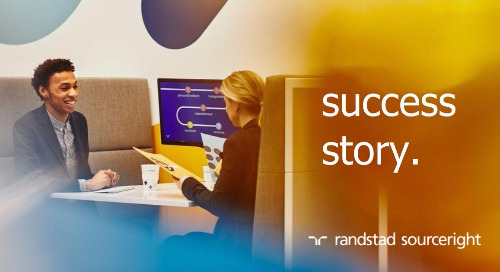 Leveraging Randstad Sourceright’s Talent Velocity HR tech stack, Montage video interviewing was integrated into the financial services leader’s RPO talent model. Since implementing video on demand for its recruiting process, the company can identify qualified talent much faster. 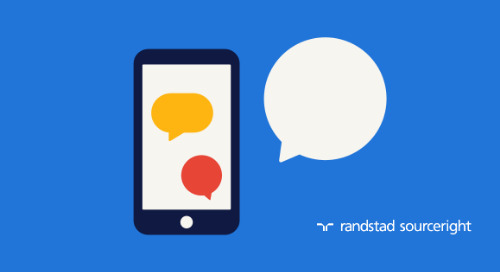 Recruiters invite interested candidates to complete the video interview, where they have the flexibility to conduct the interview at any time and from any device. For its customer service positions, about 10 to 15% of candidates are screened out early in the process at this stage. Despite automating this part of the recruitment process, recruiters are still essential. The use of video interviewing has resulted in a higher quality of candidates advanced to next-stage interviews. The innovative recruitment technology also helps ensure that interview questions aren’t duplicated at each stage and that meaningful data can be collected. 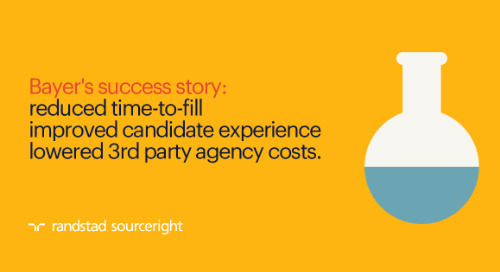 As a result, recruiters can get to the right talent faster while spending more time engaging them and making the right decisions about who to hire. Video interviewing also helps attract talent and enhances employer brand. The video interviewing technology helps deliver a great talent experience that meets the expectations of the tech-savvy digital natives the company aims to hire. The candidate experience is further enhanced by the self-scheduling function. Perfect for the organization's numerous hiring events, recruiters invite qualified candidates to on-site interviews with hiring managers, which they can easily schedule from their smartphones or desktops. 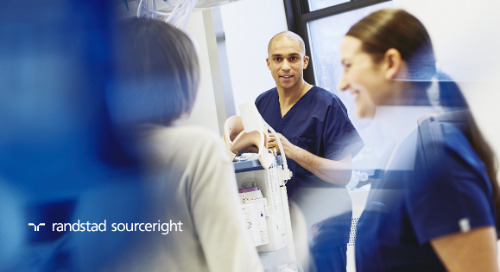 Since implementation, candidates consistently provide positive feedback about the experience. 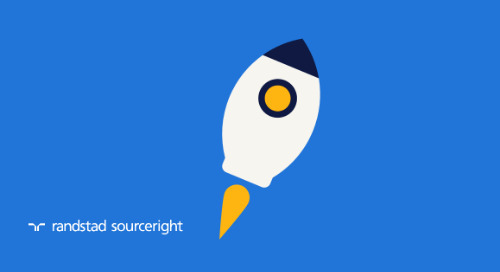 The company works with the Randstad Sourceright team to continually assess the program. Through check-in points every six months, the partners make sure the video interview questions and strategies provide the relevant information. They also discuss new initiatives, like how video interviewing could enhance overall talent acquisition outcomes, such as diversity and inclusion hiring. 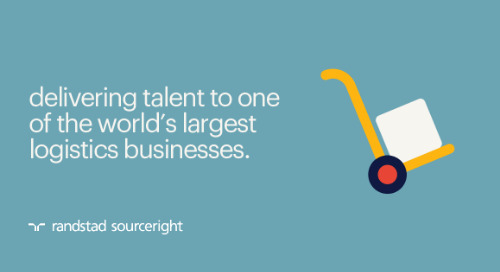 Is your company investing in processes and technologies that help it attract and engage great talent? Take the talent experience fitness test to find out how your strategy measures up.